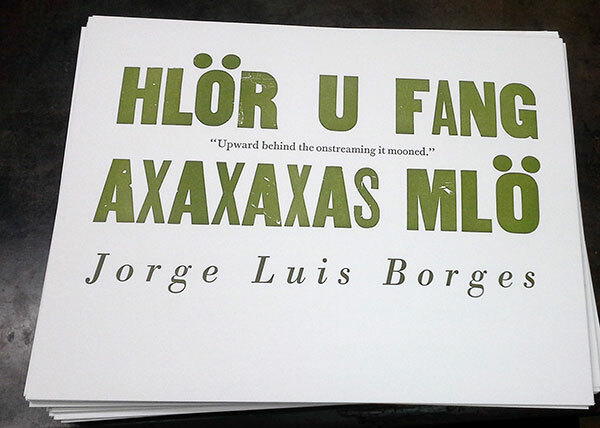 While I was working on “Nominal Chinati” I whipped out some quick runs on the letterpress at the Bow & Arrow just for funsies. These will be posted on my Etsy site as soon as I get good images. One of my favorite wordsmiths, even though he “only” wrote noir mysteries. 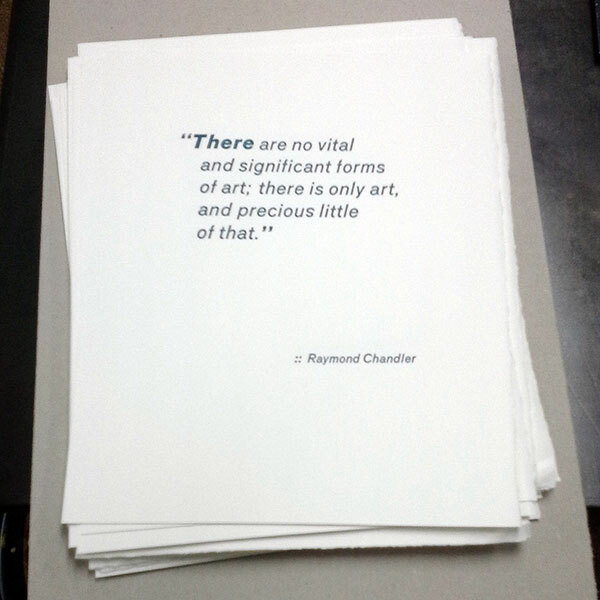 8″x 10″, printed in a mix of Standard Italic 30 pt and 18 pt. One of the unexpected stories to have significantly affected American science fiction in the 60s, “Tlön, Uqbar and Orbis Tertius” was a revelation to me when I read it at age 18. Approximately 15″ x 9″, printed in mixed wood type, Baskerville 24pt and Bodoni Italic 72 pt. 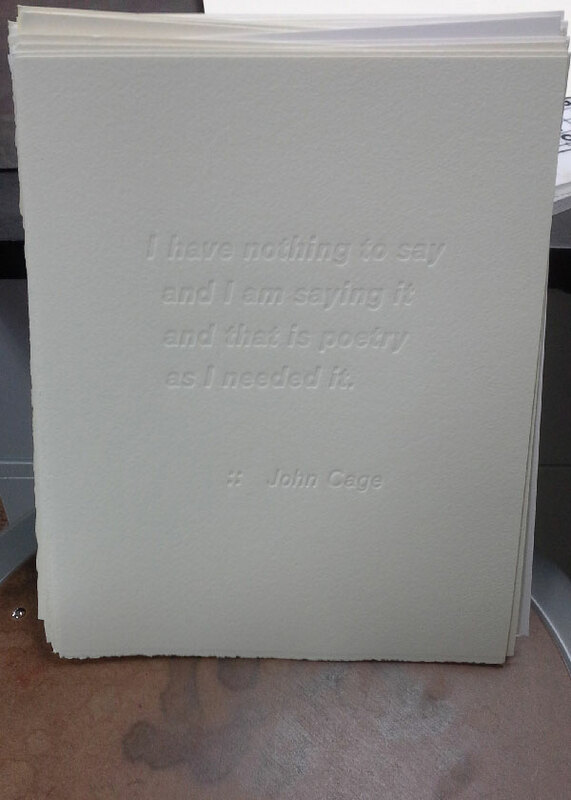 And I seem to have a thing for printing John Cage quotes as a blind emboss with no ink, so this one is propped up on a stool so the lighting enhances the legibility of the words. 8″ x 10″, using my beloved 30 pt Standard Italic.